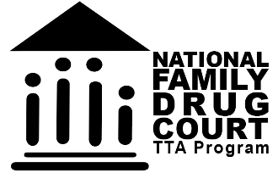 Although FDCs are part of the legal framework of the court and child welfare systems, and share the restorative goals of treatment services, they must collaborate with other agencies to provide the range of services and support required to ensure family stability; recovery of parents; and the permanent placement, safety, and well-being of children. These partners should include mental health, domestic violence, primary health care, child development, and other agencies. Finally, you are invited to start or join a discussion on our new FDC Forum. To view or download our webinar presentation on Critical Issues in Running an FDC (July 2011), please click here. To view or download our webinar presentation on Collaborative Practice Principles (July 2010), please click here. Here’s the recording for our webinar presentation “Responding to DV in FDC” (March 2013) which includes Santa Barbara County Child Welfare Services’ role in responding to DV in the FDC context. One key message from this webinar was the importance of including a representative of the DV community in the FDC Steering Committee. To download the materials for this presentation, click here. Collaborative Values Inventory. (2003). Children and Family Futures, Inc.
Collaborative Capacity Instrument. Children and Family Futures, Inc. Please email us if you are interested in administering these tools in your jurisdiction. Facilitating Cross-System Collaboration: A Primer on Child Welfare, Alcohol and Other Drug Services, and Courts This primer provides information on the operational characteristics of each system to support cross-system communication and coordination within State, county, and tribal jurisdictions. Matrix of Progress – This framework describes ten elements on which to measure the capacity of agencies to work as partners on the substance abuse needs of CWS clients. This document is included in the Technical Assistance Publication (TAP) TAP 27: Navigating the Pathways: Lessons and Promising Practices in Linking Alcohol and Drug Services with Child Welfare published by the Center for Substance Abuse Treatment. Agencies may be assessed for their capacity to build these partnerships by utilizing the Collaborative Capacity Instrument. Marsh, J.C., Ryan, J.P., Choi, S., & Testa, M.F. (2006). Integrated services for families with multiple problems: Obstacles to family reunification. Children and Youth Services Review,28(9), 1074‐1087. Marlowe, D. B. (2011). The verdict on drug courts and other problem‐solving courts. Chapman Journal of Criminal Justice, 2, 53‐92. Child Welfare, Substance Use Disorders, and Dependency Courts: A Cross-System Annotated Bibliography – This document identifies the major literature in the field of cross-system issues involving child welfare, substance use disorders, and dependency courts. It is organized in 15 topic areas, and the time frame is from January 2000 through March 2007.